The foreign ministers of the United States, Russia, Turkey and Saudi Arabia met Thursday in Vienna to work through their differences on the eve of talks on the war in Syria. 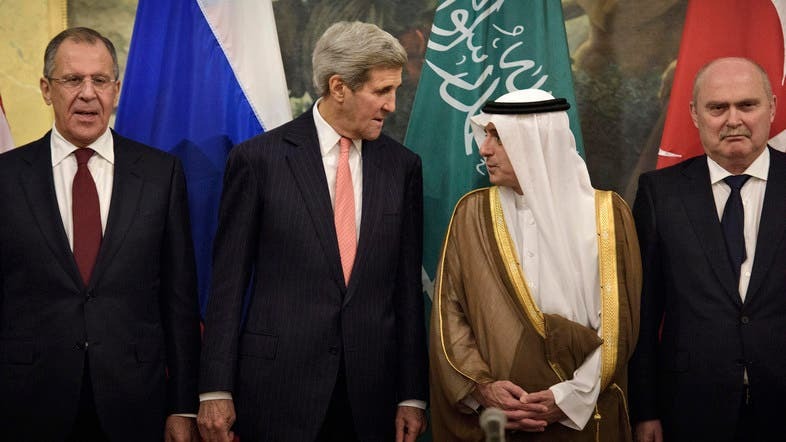 U.S. Secretary of State John Kerry and ministers Sergei Lavrov, Feridun Sinirlioglu and Adel al-Jubeir form a core group spearheading a dialogue between around 20 countries. Neither Syria’s main political opposition body nor representatives of the armed opposition have been invited to international talks on the country’s war, an opposition politician and a rebel leader said.